Golden leaves. Chunky knitwear. Pumpkin spiced candles. Steaming bowls of porridge first thing in the morning. These are just a few of my favourite things about autumn. So when the wonderful people at Pulsin sent me some of their porridge oat bars for review purposes, I was excited to mix up my morning porridge routine and instead try a portable on-the-go version! I thought that perhaps this one would smell sweet (it did not). I was pleasantly surprised by the sweetness levels as I sometimes find maple too sickly sweet. 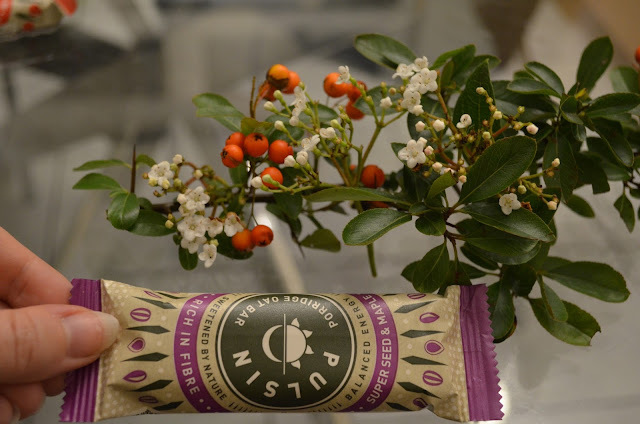 The Super Seed & Maple porridge oat bars contained a hint of sweetness, without being too much. It wasn't too dry, and was a good of mix of chewy and crumbly. 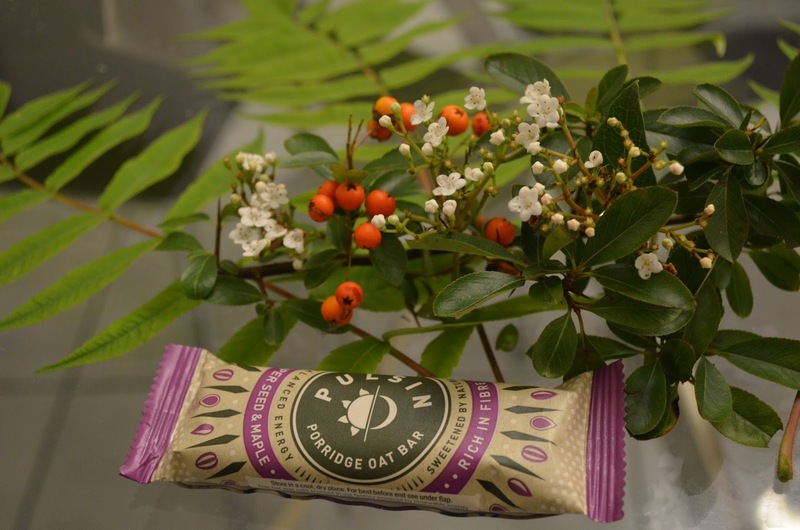 It did indeed taste oaty and like porridge - which is great for a porridge oat bar product! You can't get any more autumnal than the harmonious pairing of apple and cinnamon. Think smooth apple puree in a crumble or pie, with a little touch of cinnamon to make your taste-buds sing. Or chunky pieces of apple in a wonderfully flaky strudel with lashings of custard. This was the bar I was most excited about! Admittedly I didn't taste a whole lot of apple, but the cinnamon really came through. This was drier than the other bars, and had more of crumbly texture than a chewy one. The Apple & Cinnamon porridge oat bar tasted wonderfully festive. Bring on Christmas! I was a little nervous about trying this one because I don't normally like orange and chocolate as a flavour combination, however as this contained a subtle hint of orange which wasn't too strong, this converted me! 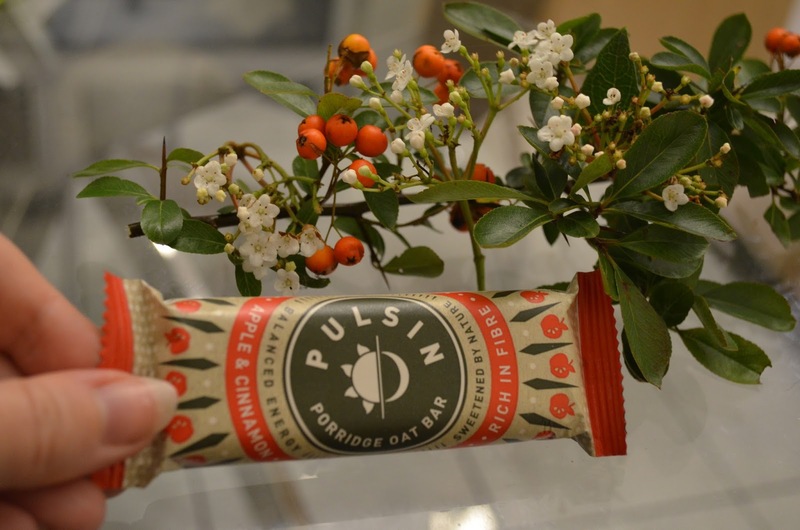 The Orange Choc Chip porridge oat bar had a good texture and was a good mix of chewy and crunchy, without any dryness. The chocolate chips in it were lovely, and there was something in the smell and taste of the bar that felt quite festive. A nod to the Christmas clementine perhaps? 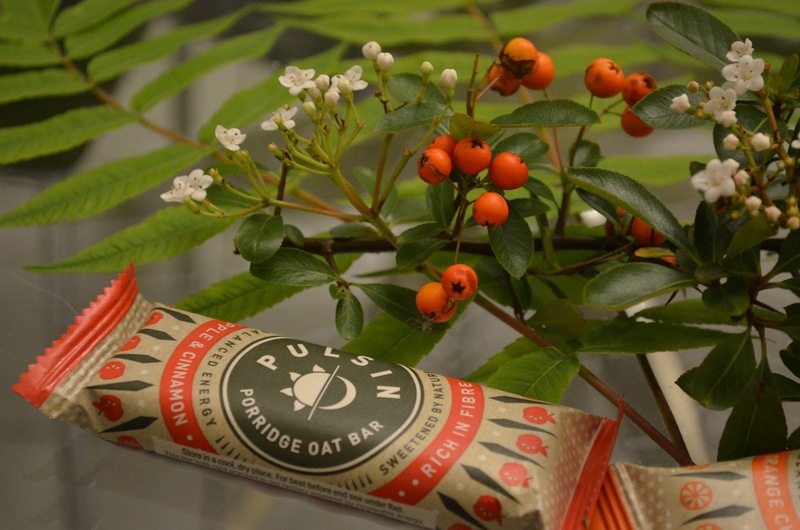 I tried Pulsin's raw chocolate brownies before, however these porridge oat bars were even better and definitely something I'll be adding to my weekly grocery shop. 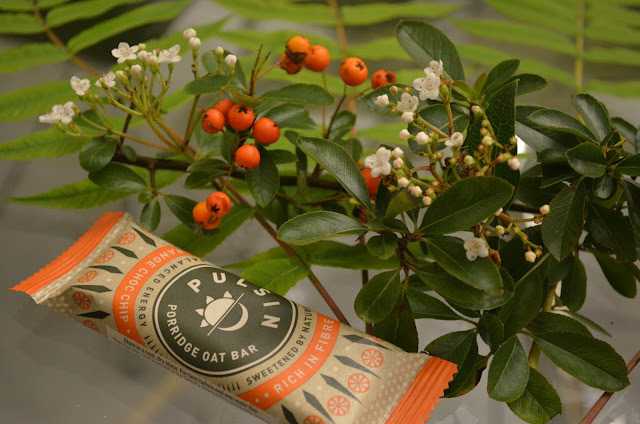 Containing all the benefits of porridge, but as an easy grab-and-go sort of breakfast, these bars are great for those cold mornings where you can't be faffed with making actual porridge and opt for extra time in bed instead (we've all been there!). Oats provide slow releasing energy which is great for maintaining your energy levels throughout the morning and keeping you full for longer - great for people like me who are serial snackers! * Pulsin very kindly sent me the bars for review purposes, however all opinions and love of extra time spent in bed in the mornings all my own!